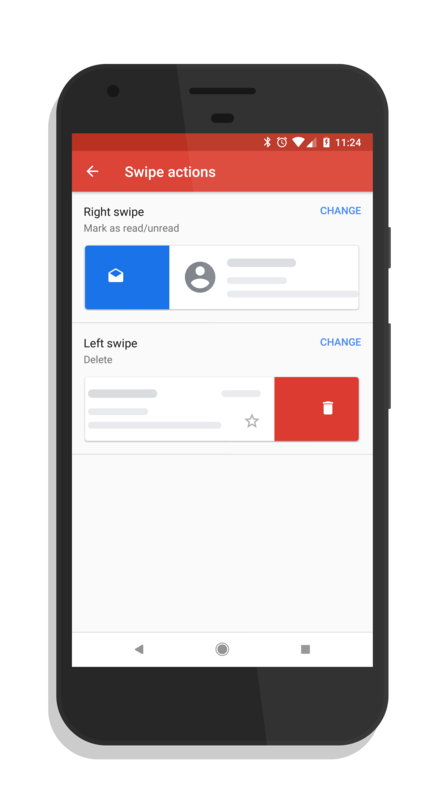 A long desired feature, customizable swipe actions, are now finally in the latest version of Gmail for Android. The latest build, which was released earlier this week, is version 8.5.20. With that version, you can now set your left and right swipe actions for an email in your inbox. It also works on any account you have setup in Gmail. The new feature is found in Settings>General Settings>Swipe Actions. This feature is an orbit altering addition but is certainly brings Gmail inline with other email clients out there like Outlook for example. While the 8.5.20 build of Gmail for Android is required, this is also a cloud-side change to enable the feature. If you aren’t seeing it just yet, give it some time. It appears that Google is rolling it out broadly now but it still may take a day or two before it gets to everyone.